Smart cities are popping up in countries around the world, from the well-known like Singapore, to the, perhaps surprising, Rwanda, or Bhopal. But what makes a smart city smart? 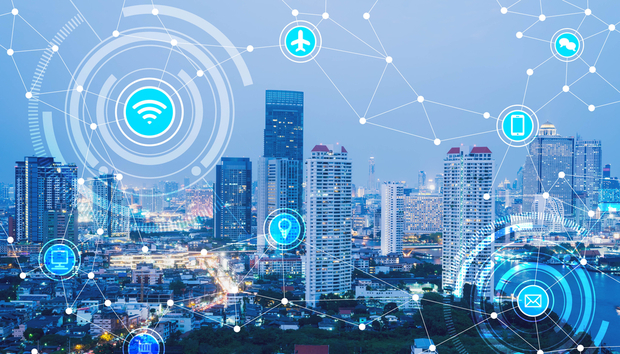 The recent Smart to Future Cities event in London focused on the importance of people, a notion that has been raised in previous reports on the potential of IoT. What can we learn from tech initiatives in the Middle East? There are numerous government initiatives underway to maximize the use of technology in the Middle East. NB-IoT has been praised to be an ideal system to jumpstart IoT services. But are there business opportunities with this technology? Working with Hewlett Packard Enterprise, Bhopal aims to be the central hub for seven interconnected cities. What can other cities learn from Singapore’s extensive tech initiatives? Singapore’s systematic approach to technology is impressive but not easily replicable elsewhere. We spoke with Paul Gudonis, President, Inmarsat Enterprise, about smart initiatives in Rwanda. New partnership between Bristol is Open and Nokia announced today advances private sector involvement in smart cities R&D. We look at how engaging citizens is key to creating successful smart cities. A discussion on how ‘shared data’ can enable Smart Cities to overcome the challenges presented by GDPR. Harman VP Andrew Till on planning properly for smart – and eventually AI – cities. The Smart to Future Cities event in London throws up the dichotomy of smart cities, and why it’s never about technology. This global report outlines what the most promising priorities should be with IoT, with particular focus on the idea of an Internet of Minds (IoM). What does $1 billion buy you as IoT moves computing to the edge?